LIBOR acquittals – prosecuting with anachronous tools? Is it any wonder that the United Kingdom can’t secure criminal convictions for LIBOR-rigging when it relies on an outdated offence that the Law Commission wants repealed and the Government has agreed to scrap long-term? Adam Rooney and Abdulali Jiwaji discuss the failed prosecutions against six brokers and consider another way forward. LIBOR, or the London Inter-Bank Offered Rate, is an interest benchmark that reflects the average price at which one major bank can borrow from another. Submissions of the applicable rates would be made by a panel of banks based on good faith estimates of borrowing costs and not actual transactions. In 2008 to 2009, when banks began to stop lending to one another, the task of providing the required estimates obviously became much harder. Worse, however, and as has since been well publicised, individuals and firms involved in the process were deliberately manipulating the benchmark. These actions attracted the attention of the Serious Fraud Office, which investigated whether any criminal activity was involved. In a press release issued on 30 July 2012 the SFO director, David Green QC, announced he was satisfied that existing criminal offences were capable of covering the conduct at issue. In October 2014 and August 2015, criminal convictions were obtained against two individuals on counts of conspiracy to defraud. Tom Hayes, formerly of UBS and Citigroup, was the second of those to be convicted. He was found guilty on eight counts and sentenced to 14 years in prison (later reduced to 11 years by the Court of Appeal). Since then, however, a further case against six other individuals alleged to have conspired with Mr Hayes has collapsed, leading many to question whether the British criminal process is indeed well-equipped to handle the fallout. It therefore contains three key elements: first, an agreement between at least two people; second, dishonesty; and third, intent to cause harm to the victim’s rights. This does not require the defendants’ actions to result directly in the fraud or for the victim actually to suffer any financial or property loss. Tom Hayes, during over 82 hours of interview, admitted his dishonesty, which became the focus of his trial. He later recanted the admission of dishonesty, saying that he was terrified of extradition to the United States and wanted therefore to be charged in the UK. The earlier admissions, though, were the key to his conviction. As the Court of Appeal stated, his later attempts to explain away these admissions meant he stood no chance of securing a much shorter sentence. If Hayes in that case had pressured the defendants, how could there be any freely-formed agreement with him? The first key element of any conspiracy was absent. As to the requirement for dishonesty, the defendants pleaded that they did not know they were doing anything wrong. In one sense, this was an easy argument because the LIBOR procedure does not require submissions based on actual trading, but only the making of good faith estimates. In the absence of any substantial inter-bank lending following the credit crunch, the estimates would have to have been seriously irregular or wrong before they might be considered to be made in bad faith, and even then if submissions had been so wrong that they were out of line with other good faith estimates, then they would have been discounted from the process altogether. In 2012, when Green said that the criminal law – and conspiracy to defraud in particular – gave the SFO the tools it needed, perhaps greater caution should have been exercised. The previous SFO director had reached a different conclusion. The Law Commission had recommended the abolition of the offence , and in any event a new statutory offence had been created , presumably because the common law offence was thought to be inadequate or too uncertain to be relied upon. Hayes is likely to make an application to the Criminal Cases Review Commission for his case to be re-examined by the Court of Appeal. Had he been charged alongside his alleged co-conspirators, the outcome in his case might have been different. If those with whom he was alleged to have made a dishonest agreement intending harm to others have been acquitted, and there is no conspiracy absent an agreement between at least two people, such an application would appear – at first blush – to have some prospect of success. The present uncertainty hardly sends the clear signal to the financial sector that those sentencing Hayes had intended. Prosecutors in the US have fared better. Under section 1343 18 USC, federal prosecutors need only prove a scheme to defraud and the use of an interstate wire communication to further the scheme . The latter element could be relatively easy, given the use of email and chat rooms that those involved in the LIBOR scandal have already admitted. The contrast between the English and US positions is relevant, since two of those acquitted in England (Danny Wilkinson and Colin Goodman) have also been charged with wire fraud under US federal law. It remains to be seen whether they will now be extradited or whether they will be saved by double jeopardy (the doctrine that prevents a defendant from being tried twice on the same, or similar, charges following a legitimate acquittal). In contrast to the criminal process, regulatory bodies can take actions forward on the lower, civil, standard of proof, and are more likely to see success. Take, by way of example, enforcement actions in respect of the foreign exchange market: the SFO recently announced that their investigations into the FX market will be discontinued; whereas the Financial Conduct Authority in November 2014 fined five banks a total of £1,114,918,000 for failing to control business practices in their G10 spot FX operations. A key priority for the FCA and the Prudential Regulation Authority has been to focus on increasing individual accountability of senior managers in the banking sector. The new SMR framework, which came into force on 7 March 2016, attempts to make it easier for both firms and the regulators to hold individuals to account. The regime replaces the Approved Persons scheme and is intended to encourage a change in culture at all levels in banks, building societies, credit unions and PRA-designated investment firms. The new regime introduces three broad systems: (a) the SMR; (b) the Certification Regime; and (c) the Conduct Rules. As well as providing a framework whereby regulators will be required to approve persons wishing to perform senior management functions, deposit-taking firms must also certify that those employees who might pose a risk of significant harm to the firm or any of its customers are fit and proper for their particular roles, ie for giving investment advice, or for administering benchmarks. The Conduct Rules will ensure that those persons acting in the scope of the SMR and Certification Regimes adhere to a minimum level of behaviour. This includes the introduction of new criminal offences for decisions taken by senior managers that have caused a financial institution to fail. In a step back from the original proposals (which provided for a presumption of responsibility in other terms – a reversed burden of proof – for senior managers in the event that a firm contravenes a relevant requirement) the regulators will only be able to take enforcement action if they can show that the individual failed to take reasonable steps to prevent a regulatory breach from occurring. The Market Abuse Directive II (MAD II), which will take effect from 3 July 2016, is further evidence that regulatory enforcement activity will only be increasing. MAD II is made up of the MAR (Regulation (EU) No 596/2014) and the Criminal Sanctions for Market Abuse (Directive 2014/57/EU) (CSMAD). Its aim is to expand the original market abuse regime in the hope that an increase in investor integrity will ultimately increase the attractiveness of the securities markets for capital raising within the EU. Among many other changes, the MAR creates wider market abuse offences and extends the regime to include any attempts to engage in market manipulation, specifically in respect of benchmarks. A benchmark is widely defined for this purpose and includes any rate, index or figure made available to the public. Competent authorities will moreover be given increased power and will be entrusted with a minimum set of supervisory and investigatory powers. The overall aim of the regulators in respect of benchmark manipulation and regulation has been to ensure high standards of design and governance in order to improve the integrity of benchmarks, as well as ultimately to sustain confidence in the financial markets they support. As a consequence, the EU Benchmark Regulation aims to: (1) improve governance and controls over the benchmark process particularly in relation to conflicts of interest; (2) improve the quality of input data and methodologies and ensure that data contributions are free of conflicts; and (3) protect consumers and investors through greater transparency, rights of redress, along with a suitability assessment in certain cases. 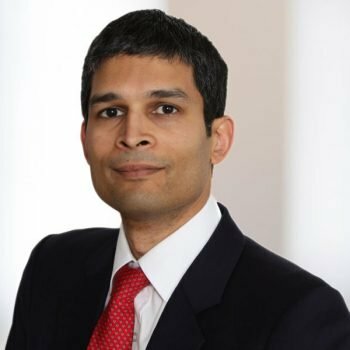 Once the Benchmark Regulation is finally implemented (which is expected to be the beginning of 2018 at the earliest), the changes will be extensive and will ensure a widening of the scope of what a ‘benchmark’ is (to include not only UK benchmarks, but possibly also the FTSE 100, Dax and CAC 40 and certain commodity benchmarks). It will see the introduction of key governance and control requirements applicable to benchmark administrators, as well as the requirement to publish a benchmark statement for each benchmark provided. It is clear that the criminal regime in respect of benchmark rigging has its shortcomings, which have only been highlighted by recent failed prosecutions. While many will see these as failures on the part of the prosecutors, the reality is that they are working with outdated tools, and achieving successful prosecutions for financial markets misconduct remains an uphill struggle. The incoming regulatory changes on the other hand underline the importance of regulatory action to combat this type of behaviour, and we expect to see successful regulatory enforcement action where the criminal regime has proved inadequate. The focus on senior management in particular is noteworthy, and the question for the financial sector is whether the deterrent effect of potential regulatory sanctions will be enough to bring about the changes in culture that regulators have sought for some time. Cm 5560. The Commission’s reasons included that the offence was unfairly uncertain. So it has proved, with the conviction of Hayes but the acquittal of his co-conspirators. See Financial Services Act 2012. Since 1 April 2013, when the Act came into force, it has been an offence knowingly or deliberately to make a false or misleading statement in relation to a benchmark setting. No agreement or dishonesty or intention to cause harm is required. See United States v Maxwell 920 F 2d 1028, 1035 (DC Cir 1990). This article was originally published in Compliance Monitor and can be read here.